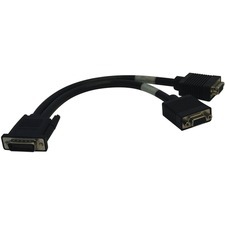 Provide a high-performance link between fiber network devices. 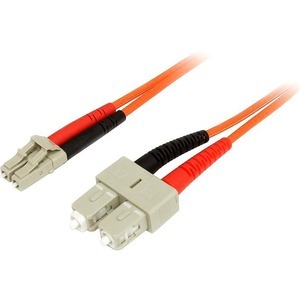 This 3m LC/SC Duplex 50/125 Multimode Fiber Patch Cable provides the necessary connection between fiber networking devices for high-speed, long distance networks. 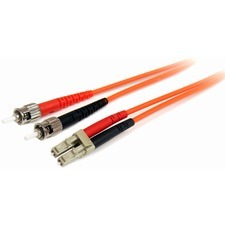 Ensuring optimal data transfers and network stability, 50/125-micron cables offer nearly three times the bandwidth of 62.5/125-micron cables, so your data will be transferred at higher rates over longer distances.